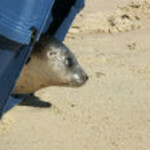 Any one interested or involved in Marine Mammal Rescue. Actually this can include Polar Bears, Sea and Marine Otters, all Pinnipeds, Cetaceans and Sirenians. Support your area Rescue team!! 4 years ago (90 replies) | Hot! 12 years ago (71 replies) | Hot! 13 years ago (31 replies) | Hot! Happy Mother's day to all my friends! There are new bulletins that the hosts would like you to see. There are no host announcements.